The Kilmarnock Supporters' Trust are always keen to work in partnership with local organisations to bring our Club and the community closer together. Making your way to Saturday's game, you might be aware of leaflets being handed out to publicise a very worthwhile cause which we'd like all Killie fans to contribute to at our next home game...our local Foodbank. Thirteen million people live below the poverty line in the UK, with individuals going hungry every day for a range of reasons. We don't think anyone in our community should have to face going hungry and the food bank provide three days' nutritionally balanced emergency food and support to local people who are referred to them. Since January, with the support of our communities, the food bank has distributed 2,000 packs to those in crisis but sadly, they continue to struggle to maintain stock levels. A typical food parcel includes breakfast cereals, soup, pasta, pasta sauce, rice, tinned beans, tinned meat, tinned vegetables and fruit, sugar, biscuits, tea, coffee and snacks. Currently local stocks are particularly low in tinned fruit, dried pasta, UHT milk, breakfast cereals and tea bags. 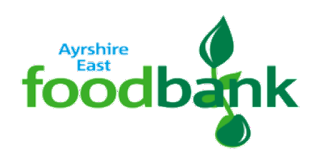 In East Ayrshire, in order to keep stock at a sufficient level, the food bank have recently had to start spending their limited cash reserves that they have received as donations. This is something that can't be maintained for long and with shelves running low they ask us all to please dig deep again. David Skilling of the Foodbank stated: "The generosity we seen in our last visit to Rugby Park last season humbled us." "Without the donations of the public there wouldn't be a food bank and we're extremely grateful to the club for working with us again to gather in donations." "A massive thank you goes in advance to anyone who chooses to donate." Donations will be greatly received at stalls near the Chadwick and Moffat Stand areas prior to kick off at our next home game against Aberdeen on Sunday 4th November 2018.